It was certainly a memorable victory, one of the most remarkable moments in the history of golf, but will Danny Willett be a memorable winner of the 2016 US Masters or a quiz question that will drive people mad for the next 50 years? Who was that English guy who won the Green Jacket? Willett’s career since that stunning Sunday 18 months ago has been fascinating but discomforting to follow, as instead of using his Augusta triumph as a springboard to greatness he has performed like a Tour journeyman rather than an elite golfer with a Green Jacket in his wardrobe. The figures are startling. 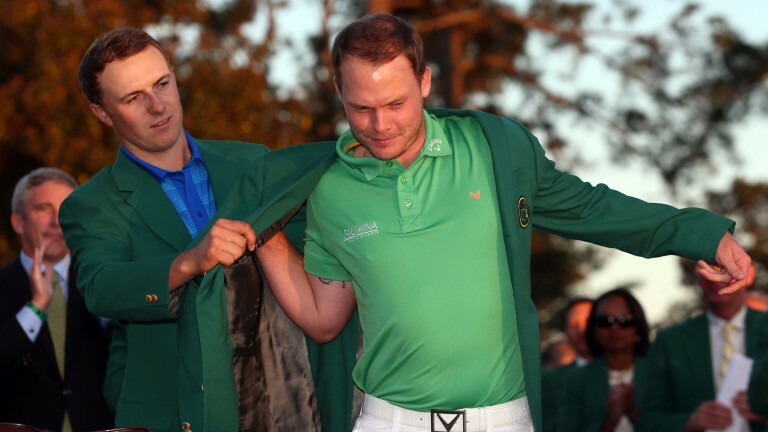 Willett, who turned 30 on Tuesday, has earned just €383,897 this year, not the kind of sum that is likely to cause the Red Cross to start diverting funds his way but an incredibly small amount for a man who pocketed the thick end of a million and a half quid when nabbing the Masters title. In 15 strokeplay events in 2017 he has failed to make the cut seven times and since finishing fifth in the Maybank Championship in February his best finish when he has completed four rounds was last weekend, when he tied for 57th place in the British Masters, earning him a shade under £10,000. In that time he has also split with his long-time caddie, who left him mid-round in May after a disagreement, and his Ryder Cup debut 12 months ago could barely have gone worse as he lost all three matches after his brother had publicly criticised American fans. So all in all it has been a tough time for the Englishman since that amazing night when he capitalised on Jordan Spieth’s meltdown to grab the unlikeliest of victories. To illustrate just how hard Willett has found golfing life since then he has won approximately one-tenth of Spieth's haul in the corresponding period after his 2015 Masters success. This is not to put the boot in on a man who is clearly not feeling supremely confident, but to highlight just how hard it is to stay at the top level in the most technically demanding sport of all. The intricacies of a golf swing are such that a small number of players find themselves struggling for their playing rights remarkably soon after being the king of the fairways. Willett will hopefully bounce back, and should take inspiration from Lee Westwood, who recaptured the ability to win tournaments on a regular basis after looking completely lost for a time at the start of the century. But he is not the only big name struggling to earn big cheques. Hunter Mahan languishes in 730th place in the world rankings having been 19th not long ago. In the last 12 months the American has missed 16 of 28 cuts and been completely absent from any top ten. And then we have Anthony Kim. I was at Valhalla in 2008 to watch him and Phil Mickelson dazzle the galleries and help power the United States to a comprehensive Ryder Cup triumph. He was 23 at the time and looked like he would be a superstar for years to come, but he totally lost his way, suffered a serious injury and has not swung a club competitively for five years. Anyone who has played golf at any level will vouch for how hard it is to play well with any consistency. The thing that keeps us high-handicappers, who are happy just to break 100 while have a laugh on the way round, getting the clubs out of the garage is that when we get lucky we can chip in or hole huge putts just like the top pros. But we can also suffer sudden, almost random, failure to particular aspects of our game at any time, the difference being that our income doesn’t drop as a consequence. It must be monumentally stressful for a professional when their game deserts them, because it doesn’t matter what you have done in the past - if you can’t shoot low scores your career is in peril. Hopefully Willett will lean on the confidence that remains from his Masters victory and his four other Tour wins and will find a way to surge back up the leaderboards, but he knows as well as anyone there are no guarantees. 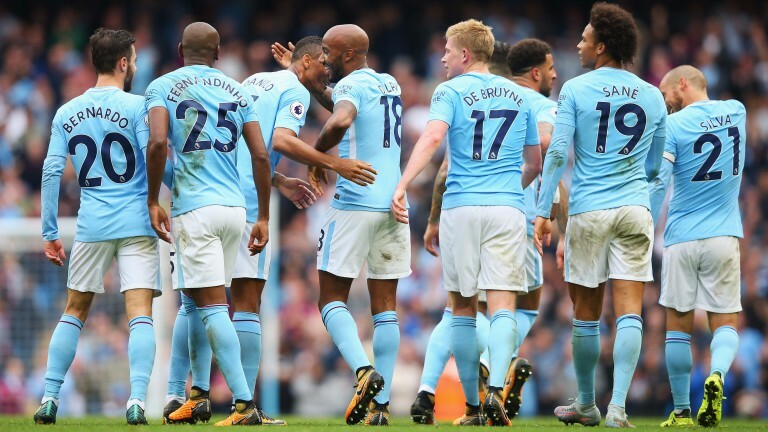 This column’s bold claims have a similar success rate to Baldrick’s cunning plans I am the first to acknowledge, but here’s another: Manchester City will this season become the best English team in the history of the game. The football they are playing is of an astonishingly high standard and they have a depth to their squad that could take them to the top spot in Europe under Pep Guardiola, who looks to have learned a lot from an underwhelming debut season in England and bought wisely and lavishly to create spectacular improvement. We have, of course, seen a few false City dawns recently. Last season they kicked off with ten successive wins in all competitions, including six in the Premier League, by which time everyone had virtually handed them the title and journalists were writing articles that soon looked as daft as this one will hopefully not. They then managed only four wins in their next 15 fixtures, while the previous year they started with five straight league wins but lost their way and could finish only a remote fourth to Leicester. But there looks to be something significantly different about City this season. The spells when they are playing at their absolute best are lasting longer but more importantly they exude a solidity that was quickly shown to be badly lacking last term. A big reason for that is in Ederson they have the perfect fit for what Guardiola wants in his goalie. As well as being a far more competent shot-stopper than Claudio Bravo or Joe Hart, his distribution skills are stunning, the heavily-inked Brazilian having the ability to spray the ball to the feet of colleagues over an impressive range of the pitch. A stunningly expensive overhaul of the full-back cadre has also paid instant dividends, while John Stones and Nicolas Otamendi are more comfortable in the middle and the absence of Vincent Kompany, whose calf injury sadly threatens to hassle him all the way into retirement, is yet to affect the Citizens. And in an attacking sense Guardiola has such an absurd array of talent it is virtually impossible for him to field anything other than a formidable side so he should have no problem coping with injuries and suspension. Kevin De Bruyne is in superb form and David Silva remains one of the most underrated players in the world, while elsewhere in forward areas and on the bench a high-quality player fills every shirt. All in all City have been dazzling this season, and their victory at Chelsea on Saturday was monumentally impressive in every sense. Do not make plans for December 9, when City meet United at Old Trafford in what could be one of the biggest domestic matches in decades. I expect City to be able to match United’s physical threat and wreck their defence to take a significant step towards a title triumph. I also believe this will be City’s year in the Champions League, where their current best price of 9-1 does not reflect the progress they have made this season. Sadly as I have become older I have also become less able to watch a football match without having a bet. But this City side are a privilege to watch and have restored my joy in just watching and marvelling at the quality of their play without the need to back under a certain number of corners or whatever. However, I certainly intend to back them as they march towards what will hopefully be a season that ends with numerous additions to the trophy room and the admiration of the football world.